Google is your friend. Help it. 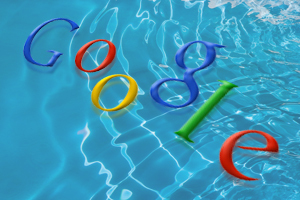 Often, businesses mistake Search Engine Optimisation for somehow trying to “trick” Google into boosting your ranking. Nothing could be further from the truth. Think about it: the reason Google dominates the internet the way it does is because it is so excellent at directing web users to exactly the right website. Since people in your local area, searching online for a reputable and knowledgeable pool, spa or sauna supplier, would be interested in finding your site, your job is really to help Google understand what you do. However well Google might find the page you’re looking for, it’s still a machine. It doesn’t know that your “sumptuously hand-tiled installation” has anything to do with spas, unless you say so. It’s therefore essential that you put words in your website that help Google to understand what each page is actually about. Importantly, these should be the actual words your customers would type into the Google search box. After all, if your customer types “hot tub”, but your website says “spa”, how would Google know they’re connected? Finding the right words: research, don’t guess. The good news is, you don’t need to guess what people are typing: the actual statistics about who’s searching for what are all available on-line There are lots of tools available, but the Google Adwords Keyword Tool is among the simplest. Using this information, draw up a list of “keywords” your customers would use when they’re trying to find what you sell – but remember to consider factors like competition. Can you really expect to compete nationally for a popular word like “sauna”, against all the big manufacturers? You know the words… how do you use them? This is the text at the very top of the browser window or tab. In your website code, it’ll be the text between the tags <TITLE> and </TITLE>. This is behind-the-scenes “meta” information, which some search engine websites include in their listings, to tell visitors what they’ll find on each page. Not unreasonably, Google expects the main headings on your page to be a good indicator of the subject – so don’t be too clever with them! Set your website to pop up a description of each picture when you hover over it with your mouse: this not only helps Google to “read” the image, but is also important in making the site accessible to people with sight difficulties. There are other places, like bold text, the links you choose to use from your site, and “anchor text”, but these should give you a good start. Some companies lose impact by trying to optimise their whole website for all their keywords at once. Often, you can make your content much more relevant – and help your visitors to find the right information quickly – by working out one or two phrases which are most relevant for each page, and focusing the page content on that. For example, if you have one page on saunas, and another on steam rooms, target each one in turn, on the most relevant page, rather than trying to optimise both pages for both terms. Google favours sites which load quickly – so look closely at any aspect which delays your page loading up in its entirety. This might be untidy programming, server problems, or something as simple as an image that’s bigger (or higher resolution) than it needs to be. Remember: anything you can do to make your site quicker and simpler for your visitors to use might well have a pleasant knock-on effect on your Google rankings. However well you optimise the content of your website, that’s only part of the story. Google uses a whole number of factors to determine how it ranks you – and a big part of that is how many other relevant websites link to yours. When you’re talking with clients, suppliers and partners, don’t be shy about asking for a web link. Especially if their site is popular, with good quality content, it’s effectively a vote of confidence and can make a real difference.